The North Sea Region is the carrier of import and export of freight streams. Over 500.000 people are here employed in the shipping industry and ports, hosting seven large ports, handling 1.000 million tonnes per year. However cargo shipping, using heavy fuel, is one of the main producers of polluting emissions. Commercial shipping is the third largest source of climate effecting toxic emissions after industrial production and road traffic. For that reason decarbonisation transition of the North Sea Region pays much attention to sea transport (see f.i. EMSA). Having much new sustainable solutions in view combined with a tradition of innovation and ambitions, the North Sea Region seems to be an excellent (windy) living lab for developing and testing zero emission freight sailing solutions. 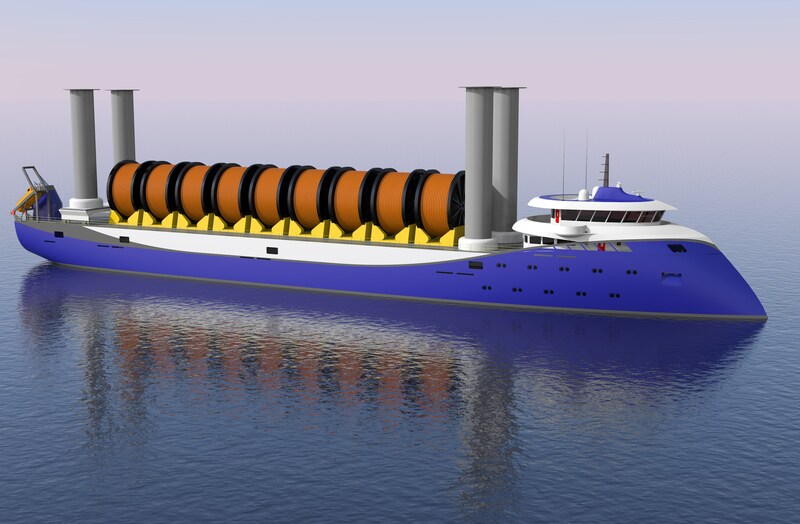 Building an (almost) emission free freight ship today seems to be possible. Alternative propulsion systems have high potentials mentioned here as “hybrid sailing concepts” including wings, kites, electricity, biofuel, a.o. Expertise and opportunities in hybrid sailing concepts is fragmented over different North Sea regions and needs clustering, validation and upgrading. Related to this economic return of sustainable investments in the shipping market needs further research. Investment cycles now limit the capacity of innovation. The North Sea Region is the carrier of import and export of freight streams. Over 500.000 people are here employed in the shipping industry and ports, hosting seven large ports, handling 1.000 million tonnes per year. However cargo shipping, using heavy fuel, is one of the main producers of polluting emissions. Commercial shipping is the third largest source of climate effecting toxic emissions after industrial production and road traffic. For that reason decarbonisation transition of the North Sea Region pays much attention to sea transport (see f.i. EMSA). 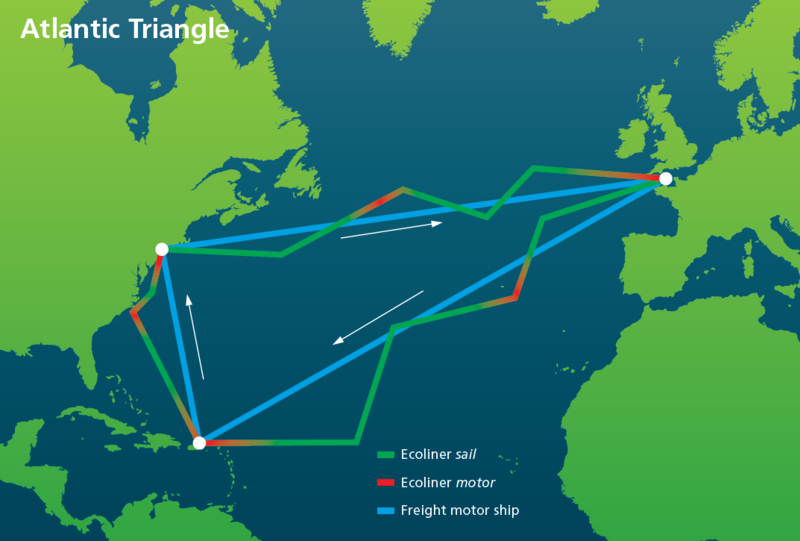 Having much new sustainable solutions in view combined with a tradition of innovation and ambitions, the North Sea Region seems to be an excellent (windy) living lab for developing and testing zero emission freight sailing solutions. 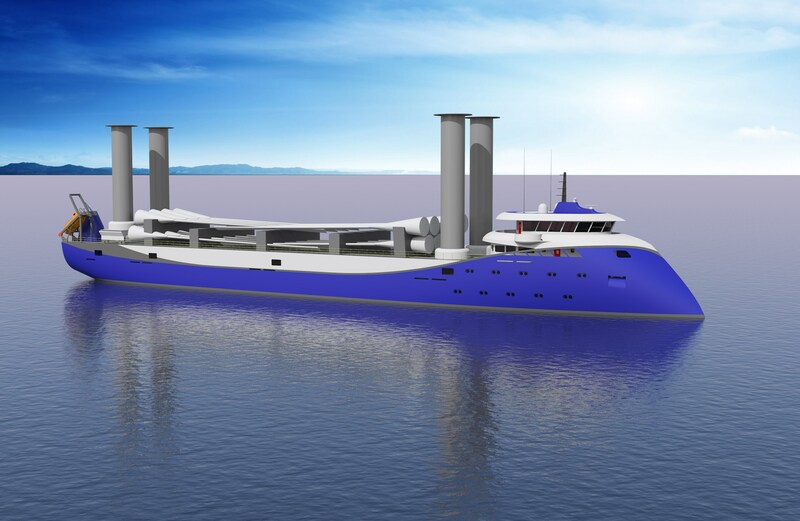 Building an (almost) emission free freight ship today seems to be possible. Alternative propulsion systems have high potentials mentioned here as “hybrid sailing concepts” including wings, kites, electricity, biofuel, a.o. Expertise and opportunities in hybrid sailing concepts is fragmented over different North Sea regions and needs clustering, validation and upgrading. 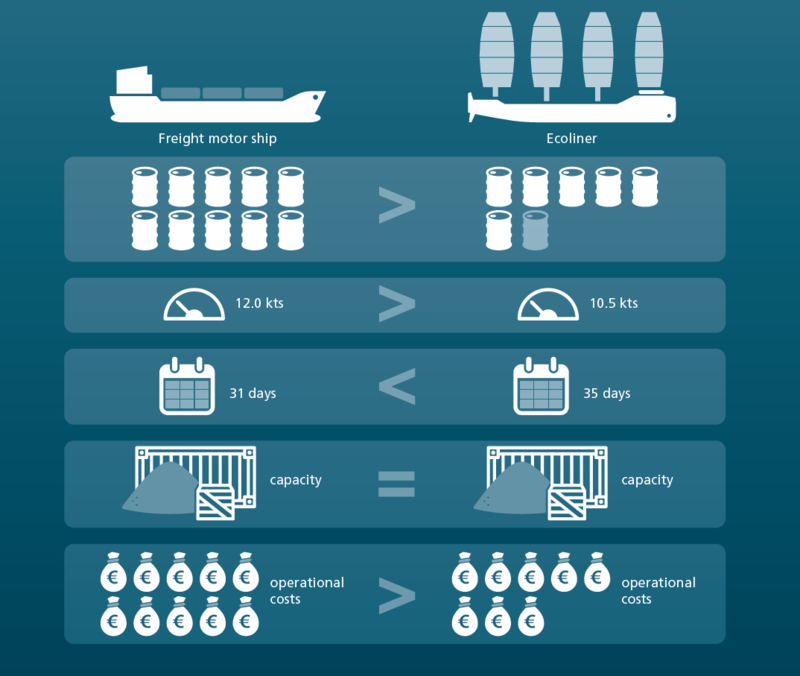 Related to this economic return of sustainable investments in the shipping market needs further research. Investment cycles now limit the capacity of innovation. 1. Joint North Sea and NWE Region stimulating and facilitating the transition process toward a sustainable shipping sector with focus on zero emission freight sailing. 2. Development and promotion of competitive sustainable hybrid sailing concepts, including the execution of living lab pilots. 3. Building of public private alliances and developing of a Strategic Sustainable Sea Transport Plan in order to stimulate and coordinate the implementation of these findings. 1. Capacity building in competitive economic and sustainable hybrid sailing concepts. 2. Development and testing of living lab solutions and modelling tools in view of sustainable hybrid sailing concepts. 3. 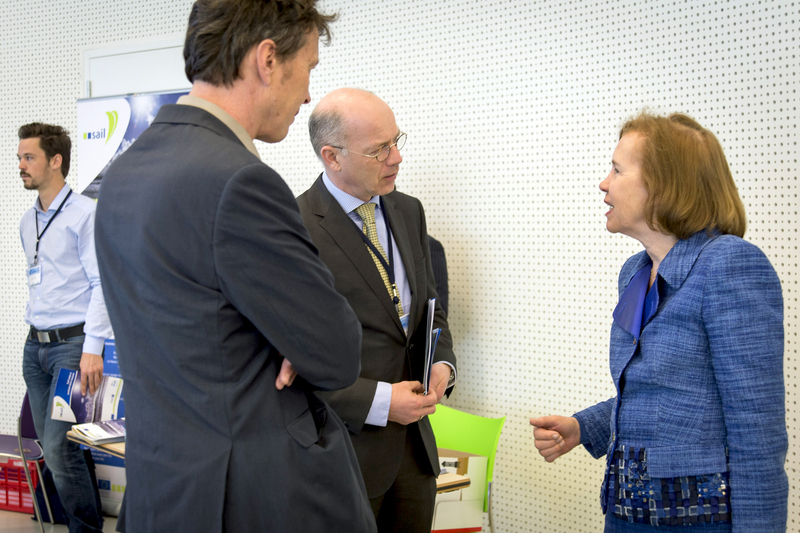 Steps to embed sustainable hybrid freight sailing in policy and legislation.